Showing results for tags 'strike fighters'. Can anyone tell me where I can find mirage 3 EL and mirage 5 BA DLCs. Hello! I've been playing SFP1 for quite some time now and i know a little bit about its online features (i have already hosted a LAN party). However, i've recently acquired a VPS and wanted to try out hosting a public server for it. I'm hosting another flight sim server as well (YSFlight) and i needed to do some port forwarding and endpoint configuration on my VPS. For SFP1 however, i don't know the Port or Port Range it uses, and running netstat -ab didn't give me anything (using the host batch file the game gives me). Does someone know the game's ports or port range? (Or am i doing something wrong?) Thanks in advance! I have finally been able to purchase a decent more recent model PC. I have MS CFS2 & SFP1 running great on it. With all the hard-drive space I have created many installs with specific planes loaded in each install so the random mission generator button will load appropriate planes. With MS CFS2 I like that you can define groups of enemy planes to chose from, but it messes up if you dump all your planes in one install. Strike Fighters 1 doesn't seem to restrict appropriate planes to showing up when flying over a terrain even if you define friendly and enemy planes in that terrain's 'nations' file. What I would like to do is upgrade to a more recent combat flight sim(s). I say sims because Id be surprised to find a game i liked for both WWII props AND jet (missile) combat. Yes...I'd like some improvement in graphics, but I like the realism (flight mode;s) to be realistic as possible. 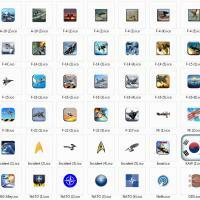 I do realize the 'air' file or 'data' file creater or modifiers have a huge impact on flight model realism. For example, I can only remember losing a F-4 to an uncontrolable spin once and that was a stock plane not a mod; while, my MiG-29 will spin if you pull to many Gs at a low airspeed (to much AOA) and its a mod add-on! Anyway, looking at pics online it appears that folks are really doing a good job on aircraft for more recent sims...and terrains. Can anyone give me some input on what would be a good combat sim buy(s)? My budget is limitted and I can not buy everything out there to see if i like it like back in the day when i had less responsibility. Oh, I do think i want to get MS FSX to get modern graphics. 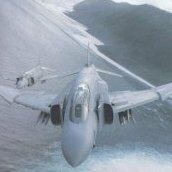 There's a payware F-4J/S Phantom available that I think I want. However, the VC and skin of my F-4s in Strike Fightes 1 is pretty good really. I would imagine there's probably some pretty good free mod planes for a more recent combat simZ. I'm not THAT picky...I've been living with sims that came out practically in the last millinium for Jeez sake. Input please...and thanks!! Kaiser1 MiG-35 Fulcrum F Español Versión 3.0 del caza polivalente MiG-35, toda la aviónica y el armamento lanzable ha recibido una mejora, tratándolo de parecerlo lo mas posible al verdadero MiG-35: Nuevas características del radar, mas leal al Zhuk Phazotron AE. 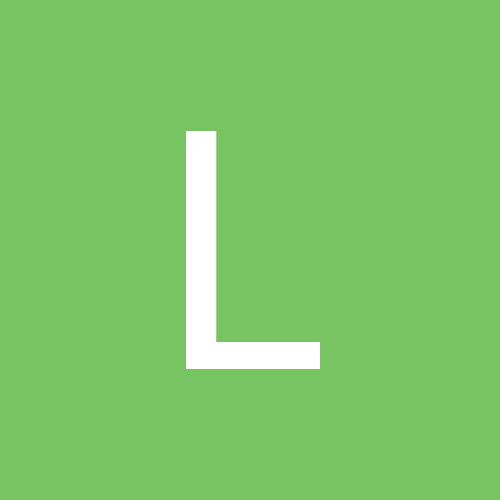 Inclusión de un sistema IRST, llamado OLS-K con detección IR y TV. 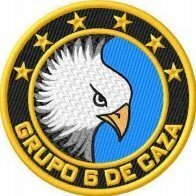 Adaptado al nuevo armamento ruso, misiles AA R-74EM y bombas LGB de la serie 500. Probado en combate contra aviones de 4,5° y 5° generación de aviones de combate. 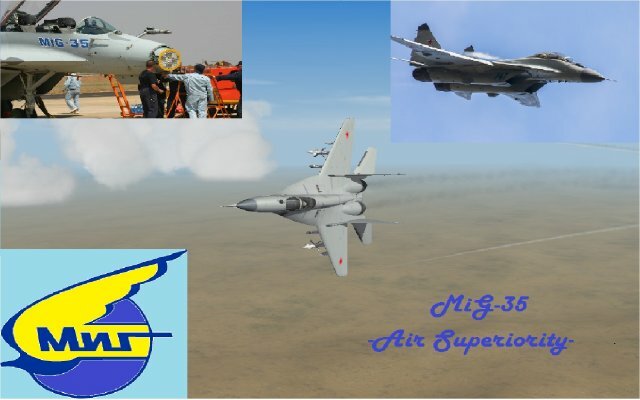 English Version 3.0 of the multi-purpose MiG-35 fighter, all avionics and launchable weaponry has received an improvement, trying to look as much as possible to the true MiG-35: New features of the radar, more loyal to the Zhuk Phazotron AE. 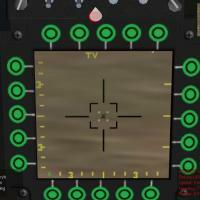 Inclusion of an IRST system, called OLS-K with IR and TV detection. Adapted to new Russian armament, AA R-74EM missiles and 500 series LGB bombs. Tested in combat against aircraft of 4,5 ° and 5 ° generation of combat aircraft. SF2 Desktop Icons Tired of those ugly green stock icons? Well you can replace them with these... Forgot to mention, one icon (ODS) is from the ODS Pack... Enjoy! I guess this might be better in the hardware forums but I want to have the opinions of SF Guys specifically. I wanted to build a new pc that can run the game at least on the high settings and hopefully still run them on high settings with all the HD mod available here at CA. Aside from SF2 i'm also planning to run Some 2k Stuff for when my friends come over and other SIM titles. I've been running the game off my laptop for a long time now which to be honest is very convenient but not that great. And since I got diagnosed with a spine problem i can no longer do karate, Boxing and other strenuous lifting and movements i can no longer use my equipment's thus i may have to sell my bag mounts and other stuff. The good thing about this is i now have extra space available for a PC Set up and some probable startup cash for building a new PC that can handle gaming. I want to avoid over clocking as much as possible as I'm from the tropics so we have high ambient temp all year round and i want to keep the power draw as low as possible as the Electric bill here is really high. Parts i'm looking at Processor: Intel Core i5-4690 which sells at USD 235 (Php10500), for some reason i couldn't find an i5-4690K Video Card: I'm having trouble with this one. My first choice was an Asus Strix-GTX760OC 2gbd5 which cost about 260USDbut then is saw a STRIX-GTX960 2GB at USD 250 which is inexplicably cheaper. Or would it be wise to go for an AMD R9-280X which is also around the same price point but has 3GB DDR5? Will the Vram difference make a difference for SF2 or will the 760 or 960 both with 2GB of VRAM be enough? Motherboard: I'm looking at get a Z97 or Z87 board from Asus as i had a really good history with ASUS but they range from 150 to 250 USD i could probably get the same ones from MSI for half that but is the quality of MSI boards on par with Asus? RAM, storage, PSU, fans and Chasis will be decide once i figured out these 3. So do you guys think i can get away with max settings on an 1080P, 32" display with these stuff? Look! I'm a console player now!